Once again, Nine Inch Nails ARE BACK & joining them this time on tour for the Winter is The Jesus and Mary Chain – together they are getting ready to take over Hollywood Palladium for a night fuelled with energy and their very best bits of their material! 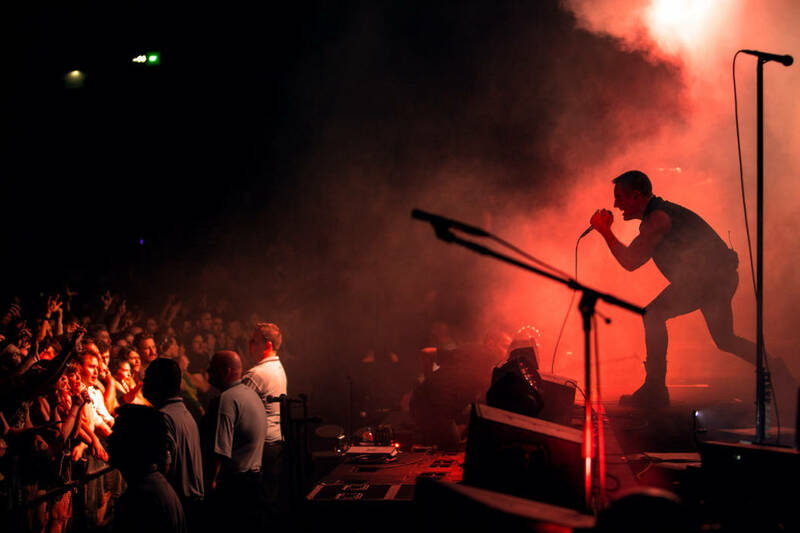 If you're a fan of Nine Inch Nails or The Jesus and Mary Chain then get down on Saturday 15th December 2018 – it's going to be an EPIC event! Are you ready?! "NIN are undoubtedly virtuosos who have been performing for decades, and they know how to put on a good show. Reznor states his appreciation saying: “We’re grateful that people still care” and how the band are trying to “make sense of the world” with their music. Playing many tracks from The Fragile, he confronts the history behind the record, having gone through a bleak period in his life, but tonight’s performance shows the frontman at his peak." Nine Inch Nails, also known as, NIN (stylized as NIИ), are of course the American industrial rockers, as they started their beginnings in music in 1988, founded by Trent Reznor, they have truly made their mark on the scene as they dropped two massively influential records to their fans and transformed their career from underground status to a worldwide 20 million selling act, during the 1990s! These guys have proven that you can get somewhere on pure creativity, with Reznors vision, as the producer, singer, songwriter and instrumentalist and throughout the years, they have also changed with the times in order to stay current and appreciated with whats going on in popular and alternative genres. With their incredible albums and singles, fans just can't get enough of what this band has to offer but nothing beats their live performances as Nine Inch Nails always bring with them outstanding, eye catching visual elements to showcase themselves on stage as well. Get ready as 2018 is proving to be yet another exciting year for the group as they travel worldwide to play stages at major festivals, stadium shows and more… They will be stopping off at Hollywood Palladium on the 14th December for their first night and their second live show on the 15th. Here's your chance to be there! !